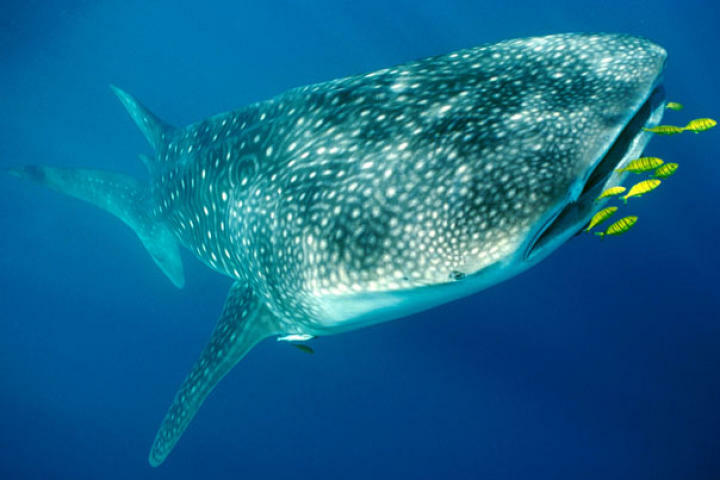 Whale Shark (Rincodon typus) prepares to consume Golden Trevally. 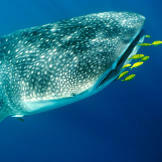 1 Whale Shark (Rincodon typus) prepares to consume Golden Trevally. 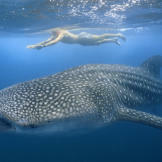 2 A man swims with a feeding whale shark in Indian Ocean off Mozambique. 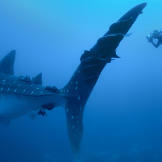 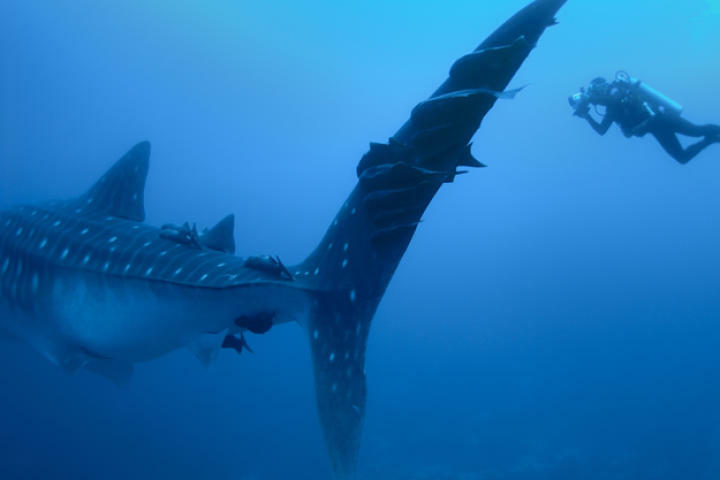 3 Diver with a whale shark (Rhincodon typus). 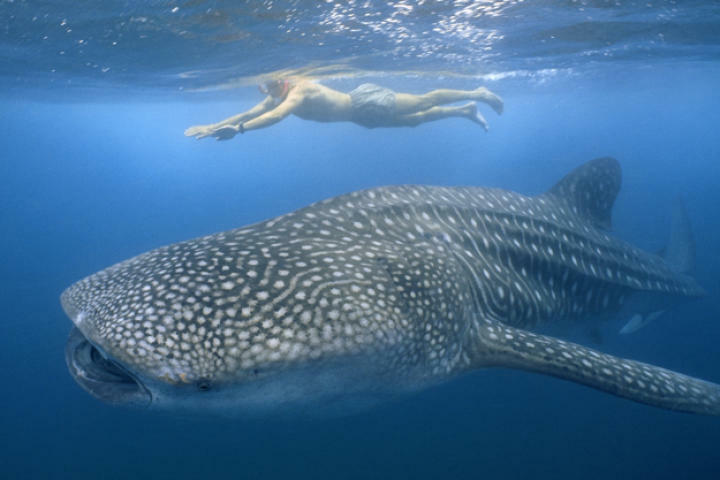 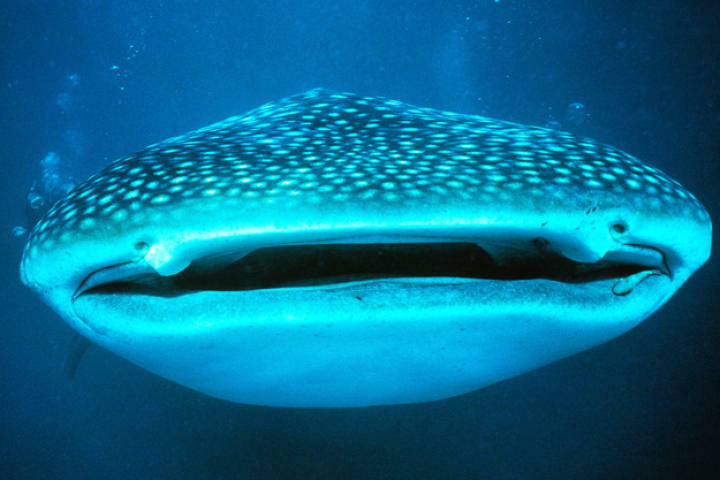 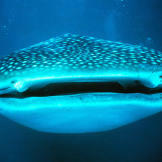 4 Whale shark (Rhincodon typus) off Ningaloo Reef, Australia.